Take 1 capsule 1 to 3 times daily with food, or as directed by your healthcare practitioner. Not to be taken by pregnant or nursing women. 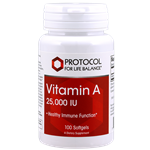 Vitamin A 25,000 IU is not for long-term usage; do not exceed recommended dose. Ongoing use should be monitored by a healthcare professional. Do not take this product if you are using tretinoin or other retinoid medications. May interact with blood thinning medications, tetracycline antibiotics, and hepatotoxic drugs. Consult your healthcare practitioner before taking this product if you are taking any pharmaceutical medications or if you have any health conditions. Keep out of reach of children. Take 1 lozenge prior to bedtime or as directed by your healthcare practitioner. 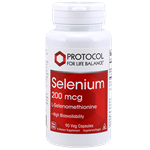 Protocol for Life Balance Melatonin with Vitamin B6 helps support healthy sleep cycles and acts as a potent antioxidant. Take 1 capsule daily, preferably with a meal or as directed by your healthcare practitioner. 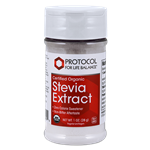 Protocol for Life Balance® certified organic stevia extract utilizes glucosyl stevioside, an enzymatically-enhanced stevia leaf (Stevia rebaudiana) extract with improved taste and sweetening properties. Our natural proprietary processing method not only improves taste and sweetness, but also helps to retain the phytochemical features of full-spectrum extractions, which differentiates our stevia from reb A fractions and other stevia extracts. Not manufactured with yeast, wheat, gluten, soy, milk, egg, fish, shellfish or tree nut ingredients. Produced in a GMP facility that processes other ingredients containing these allergens. Store in a cool, dry, dark place after opening. Use to naturally sweeten your favorite beverages and foods. Use 1/2 to 1 level scoop as desired. Sweeten to taste. Vitamin D maintains healthy blood levels of calcium and phosphorus. Vitamin D supports bone health by promoting calcium absorption and bone mineralization. Vitamin D also plays an important role in immune function and helps to regulate cell growth and differentiation. Protocol for Life Balance OrthoFlora Yeast Support aids in developing and maintaining healthy intestinal flora levels as well as supporting a healthy immune system. As a dietary supplement, take 2 Vcaps® 2 to 3 times daily with food. Protocol for Life Balance Glucose Balance supports healthy digestion, healthy blood sugar levels and immune system support. Biotin 5,000 mcg 90 ct.
Biotin is a vitamin that is found in small amounts in numerous foods. Biotin is used for preventing and treating biotin deficiency associated with pregnancy, long-term tube feeding, malnutrition and rapid weight loss. As a dietary supplement, take 1 Vcap® 1 to 2 times daily, preferably with food or as directed by your healthcare practitioner. As a dietary supplement for Children (age 2 & up) and Adults: Chew 1 tablet 1 to 6 times daily between meals or on an empty stomach. For children under 2, use only on the advice of your healthcare practitioner. Keep lid tightly sealed. KEEP REFRIGERATED TO MAINTAIN HIGH POTENCY. 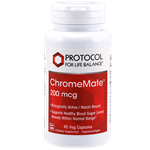 Protocol for Life Balance Chewable Probiotic-4 supports healthy digestion and immune system support and can be used by both kids and adults.